Light Along the Path | Just Shooting Memories! I have admired this walkway for a long time and finally got the chance to stop. There is something peaceful to me about this small section. Is is how well it is lit? Maybe the mixture of warm and cold lights? Possibly the closeness of the trees with their branches leaning over the path? Regardless of the reason, I was drawn to this short section of walkway on the grounds of Reinhardt University in North Georgia. 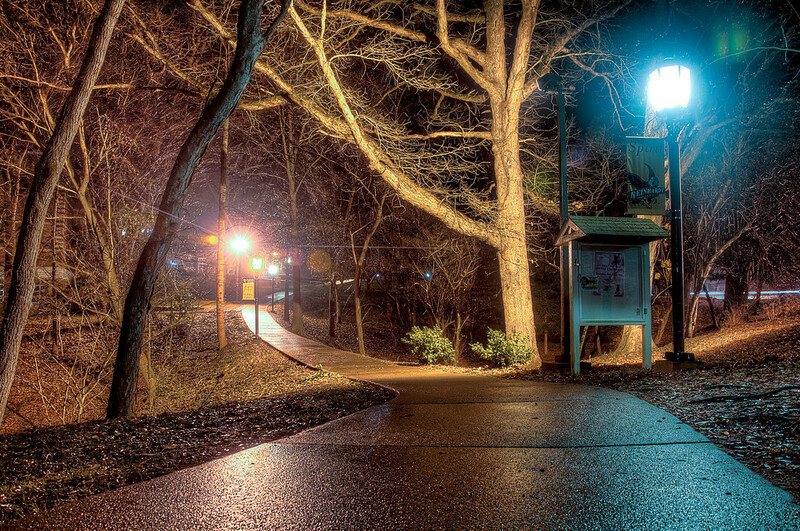 The night I took this, I found that, deeper into the campus, there are many other paths that were equally as interesting.